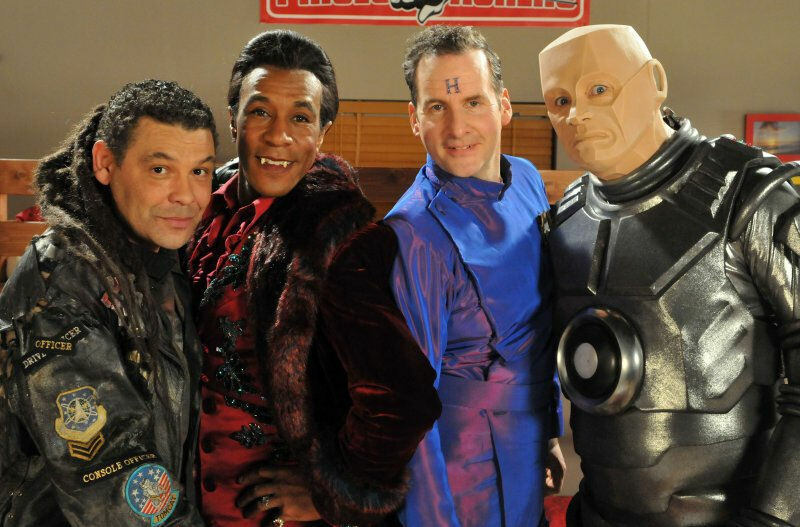 We look back over the year that brought us a new series of Red Dwarf. Things began on a sad note in January, with the news of the passing of Paul Montague, the production designer on the early series. There was more cheering news, however, with the announcement that composer extraordinaire Howard Goodall was to receive a richly-deserved CBE in the New Year's Honours list. Meanwhile, in February, actor Craig Bierko broke his silence on the production of Red Dwarf USA with his admission in an interview that the pilot was terrible and he should never have been cast. A little harsh on himself (and on a script that was flawed but not entirely without merit), in our opinion, but it was a refreshing piece of honesty about one of the more intriguing moments in Red Dwarf's history. In March, we got our first look at the first ever set of official Red Dwarf fancy dress costumes. Produced by Cesar UK, the uncannily accurate Lister, Rimmer and Cat outfits - which would be available from specialist costume outlets later in the year - were also excitingly modelled in the flesh by Craig Charles and Danny John-Jules at Dimension Jump. Ah, yes, Dimension Jump. 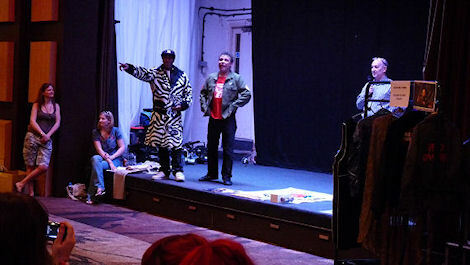 The Official Red Dwarf Fan Club convention took place in Birmingham yet again in April, and was as ever a thrilling event for fans old and new. 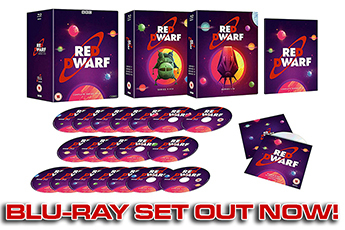 Aside from the usual cast appearances, the convention this year also featured a visit from none other than Doug Naylor, who had some exciting news for the attendees - yes, German editions of all the Red Dwarf novels were set for release. Oh, and something about a brand new series of six episodes being commissioned by Dave for 2012. After such a mammoth piece of news, May was always going to seem quiet by comparison. But we still had the time to present you with a new version of our exclusive webcomic Prelude to Nanarchy, enabling you to read the story of how Red Dwarf was lost post-Series V in an easy, on-the-go PDF format. Excitement for Red Dwarf X began to ramp up in June, with the news - reported in the mainstream press - that Craig Charles was to take a break from his Coronation Street duties. While we're not usually given to reporting goings-on in Soapland, this was perhaps the first tangible indication that the new series was really going full steam ahead. One of our favourite hobbies kicked off in July, with the launch of the Global iPlayer giving ample opportunity over the coming months to keep track of the growing list of countries who could now get Series I-III of Red Dwarf - and some other stuff, probably - on their iPads. 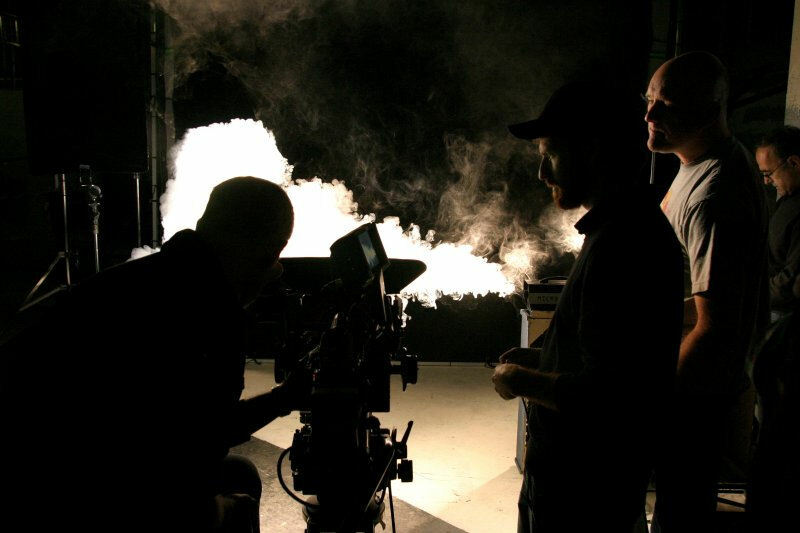 July also saw the first televised broadcast of the feature-length Director's Cut of Back to Earth. With this, it became clear that this edited-together version, rather than the original individual episodes, should be considered the "definitive" version of the special. We were given a dose of nostalgia in August, courtesy of Robert Llewellyn recording his classic memoir The Man in the Rubber Mask as an audiobook and releasing it online. In September, by contrast, we were looking to the future, as Craig Charles appeared on TV and said things about Series X that got everyone excited. We remember Jo Howard, aka Jo Bennett (Production Manager - Series VII, Line Producer - Series VIII, and Producer - Back to Earth) who passed away peacefully on 21st October 2011 after a long and courageous fight against cancer. Sadly missed by everyone on Red Dwarf and all who knew her. So to November, then, and by far the most exciting month in recent Red Dwarf history - and not just because of the changes here at reddwarf.co.uk, as Andrew left after eleven years to be replaced by Seb. 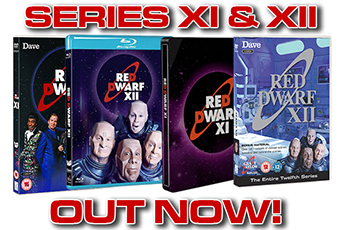 The biggest announcement of the year (after that one) came on November 11th, as we not only told you that Red Dwarf X would be shot in front of a live studio audience - we also told you where to go to get tickets. Which you did, in your thousands - crashing the Lost in TV website before applications were even scheduled to open, and ensuring that all 1800 tickets were gone in less than half an hour. Crikey. 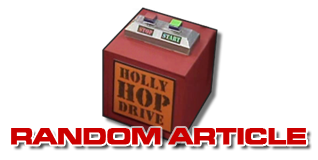 Red Dwarf made great strides into social media in 2011, with the launch of an official Facebook page in November and an official Twitter feed in December. This gave fans another outlet for (spoiler-free!) conversation about the shooting of the new series, which began this month. We've already given you our own take on the first episode - but with four episodes still to film in January, there are sure to be many more twists, turns and surprises in store. 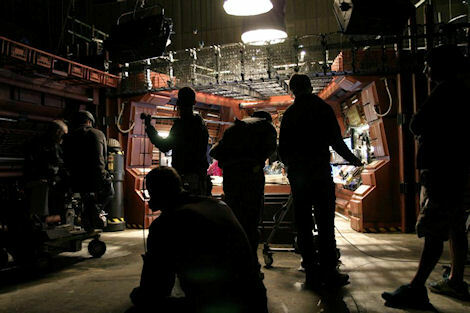 And so ends 2011 - a year which began with nothing more than hopeful rumours of a new series, and ended with the cast in front of the cameras (and an enraptured audience) filming Red Dwarf X. Usually at this point we'd find ourselves wondering how the next year might compare - but given that a new full-length series of Red Dwarf will be broadcast for the first time this millennium... we think it's a safe bet that it's going to be pretty smegging special. 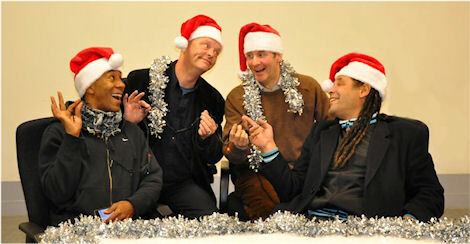 From everyone at reddwarf.co.uk, a happy new year and best wishes for 2012!